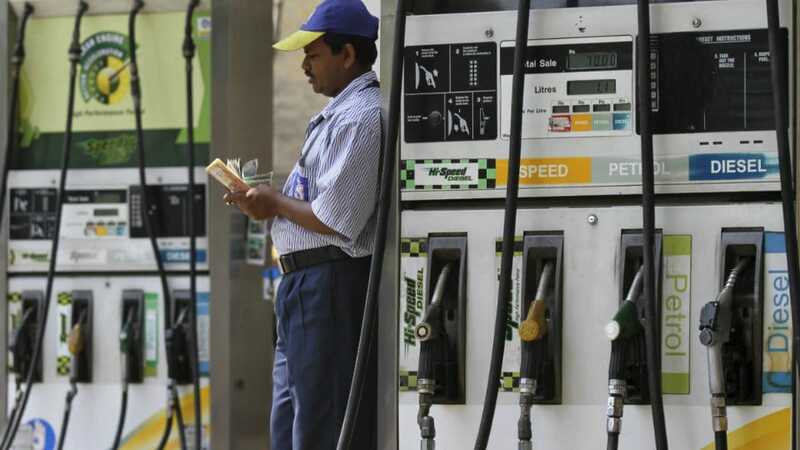 New Delhi: After a 19-day pre-Karnataka poll hiatus, petrol price was today hiked by 17 paise a litre and diesel by 21 paise as PSU oil firms began passing on the spike witnessed in international rates to consumers. Petrol price in Delhi was hiked to Rs.74.80 per litre from Rs.74.63 while diesel rates were increased to Rs.66.14 a litre from Rs.65.93, according to a price notification issued by State-owned oil marketing companies. With this, diesel prices have touched a record high while petrol is at a 56-month peak. Oil PSUs, who had kept rates unchanged for nearly three weeks before Karnataka went to polls despite input cost spiking, reverted to daily revision in prices no sooner had the state voted to elect a new government on Saturday. State-owned oil marketing companies are estimated to have lost about Rs.500 crore as they absorbed higher cost resulting from the spike in international oil rates and fall in rupee against the US dollar. Oil PSUs have refused to acknowledge if the freeze followed a government diktat so as to help ruling BJP in Karnataka. Indian Oil Corp (IOC) Chairman Sanjiv Singh last week said that the state-owned firms were “temporarily moderating” prices to avoid sharp spikes and panic among consumers. Petrol and diesel prices were last revised on April 24 when they were hiked by 13 paise each. But prices were frozen thereafter. This despite benchmark international rate for petrol going up from USD 78.84 per barrel, which was used for raising the price to Rs. 74.63 a litre on April 24, to USD 82.98 now, according to sources privy to fuel pricing methodology. Meanwhile, the revised price of Petrol today in Mysuru city stands at Rs.78.46 (Old price Rs.78.29) and that of Diesel stands at Rs.67.00 (old price Rs.66.79). Dum Bhakths voted again the currupt , communal party to karnataka ! wait and watch the desaster to your tax money, cost of living and jobs for your kids ! ACHAEE DIN HAVE BEEN NOW UNLOCKED IN KARNATAKA AFTER TSUNAMI OF PROBLEMS IN BJP RULED STATES ! Dum Bhakths voted again the corrupt , communal party to karnataka ! wait and watch the disaster to your tax money, cost of living and jobs for your kids ! ACHAEE DIN HAVE BEEN NOW UNLOCKED IN KARNATAKA AFTER TSUNAMI OF PROBLEMS IN BJP RULED STATES !